Apogee Condos in South Beach - Waterfront Ultra-Luxury Condos for Sale in South Beach. 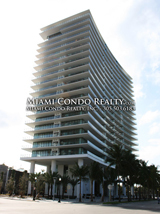 South Beach Condos overlooking the Ocean presented by Miami Condo Realty. Unit Sizes: 3103 to 4145 sq. ft.